Art Center has partnered with industry for sponsored class projects since 1960. General Electric, Ford, and General Motors were some of the first businesses to collaborate with Art Center. These class exercises provide students with real world experience related to design and feedback from professionals. A number of the industrial design projects documented in our collections are sponsored, and we will periodically post examples in this blog. Sponsored projects continue today and for information on our current program, under the Educational Partnerships office, click here. GM Turbine Project. 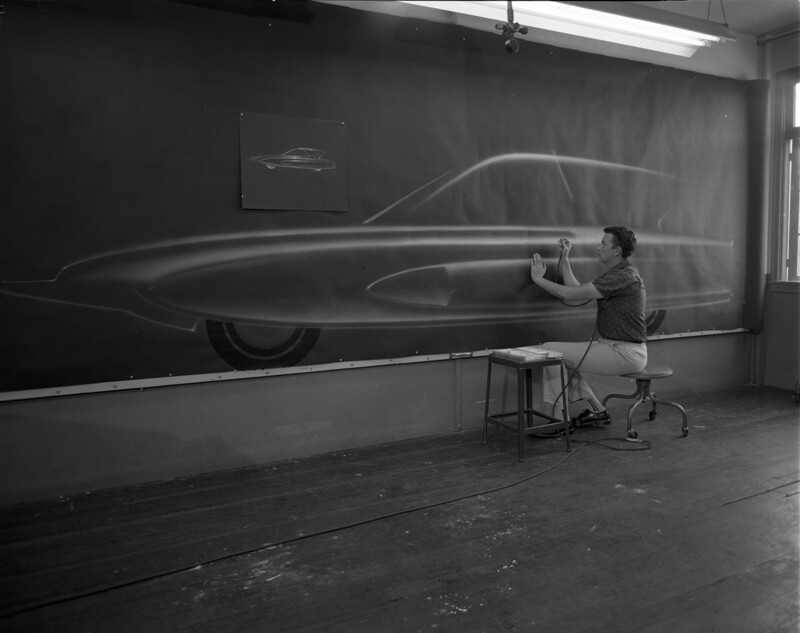 Leo Pruneau (PROD 1961) is working on airbrushing a full scale rendering of a car. 1960 (2004.23.3225) Photography by Geoffrey Fulton. GM Turbine Project. 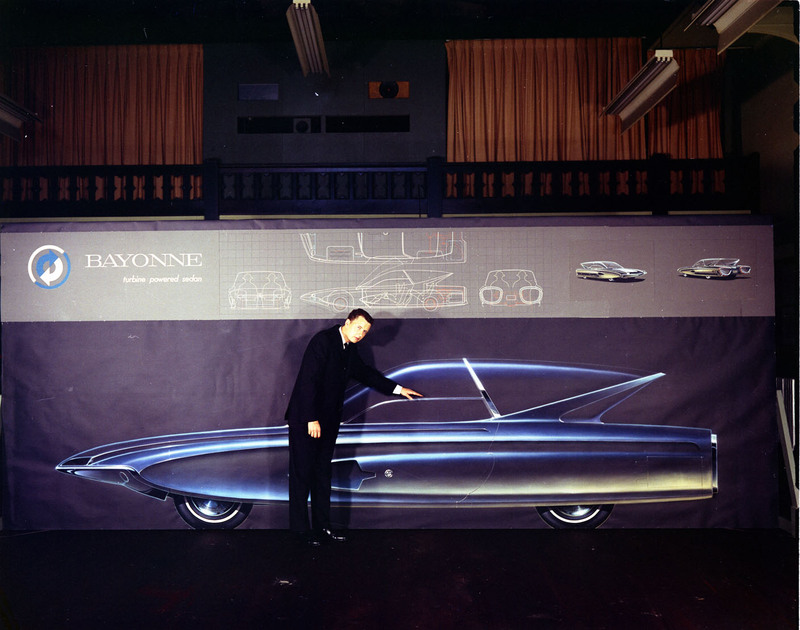 Leo Pruneau (PROD 1961) and his final presentation named “Bayonne”. 1960 (2004.23.3259) Photography by Geoffrey Fulton. By Robert Dirig in Uncategorized on August 9, 2013 .